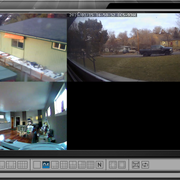 I installed the new release of Dview Cam DCS-100 v5.0.0, when viewing the cameras, everything is blank, I don't have this issue with the previous version of the software. Anyone else experience this and if so is there a fix ? Nope. Worked fine for me. Have you look in the camera setup page? I have the same problem here too - just installed v5.0.0 and the camera images are not viewable in the admin console or the playback application on my server - I'm running Windows Server Essentials 2016. The recordings are viewable from my Windows 10 device so the recording aspect is working fine. IIRC both console and playback worked 100% OK on the previous version (v4.1.1 with device pack v2.2.5). I'm wondering if it's some kind of Windows Server imaging issue. I am running Windows 2012 R2 Server, but have also tested it on Windows 10 machine and even on a Windows 7 VM, all comming up as blank, could it be some sort of codec issue ? I will see if a tech can test this. Are these all fresh installs or updates? What cameras are being used? Is it only live video that is not being displayed? Does everything else seem normal? Installing mine now. I have v4.2.1 already installed. Asked to remove prior version. Is there a way to recover the console PW or wipe out the PW on a installed PC if the PW was forgotten? Been trying to remember the PW on my main 7 PC but its not letting me in. I presume there isn't a default PW. I'll install on my Windows 10 x64 PC as well. I upgraded from 4.2 to 5, cameras being used are DCS-6314 and DCS3716. Yes, just the live feed, it appears the recording is working. So I have just tested it again, if I run the 32bit exe it works, if I run it as 64bit I get the blank screen. Is there something else I need to do here ? I tried running both 32 and 64 bit MainConsole.exe files but got blank camera screens in both situations on the 2016 Server (accessed via Remote Desktop Connection). I did an update rather than a fresh install. I have four DCS-5010L cameras. 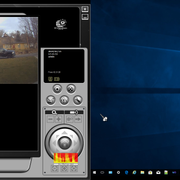 On the server - no camera display in the Main Console application and no camera display when using the Playback System application - note I am using Remote Desktop Connection to access the 2016 server and run Main Console/Playback System. There was no problem viewing cameras in V4 this way. On Windows 10 Enterprise (v1803) - I can use Playback System application to view recordings made on the 2016 Server. 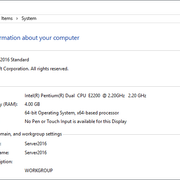 I can also install and view the cameras on the Windows 10 PC via a separate install of Main Console on this PC. Other than not being able to view the cameras when on the Server machine the applications seem to work as they did in V4 - this is the only issue I have found.